Yesterday, we reported that four reactors at the troubled Fukushima Nuclear Plant in Japan are being shutdown, but the crisis is far from over. The Japanese government has tried everything from flushing the reactors with seawater to dropping tons of water from helicopters. They’ve also enlisted outside help, some of which is coming in the form of video game controllers. QinetiQ North America, a Virginia-based technology company, has deployed robots controlled by Xbox 360 pads to assist relief efforts at the plant. 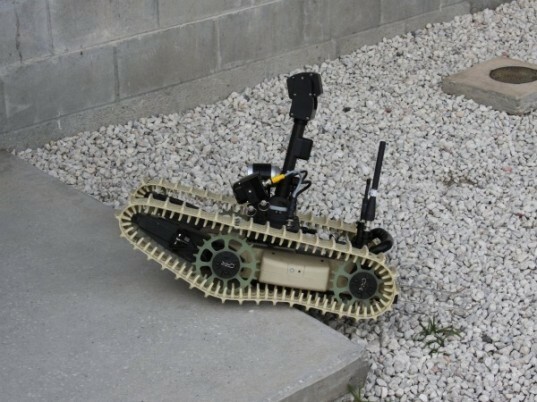 The unmanned Talon robots are outfitted with night vision and CBRNE — Chemical, Biological, Radiological, Nuclear and Explosive — detection kits. With the kits, the robots can identify more than 7,500 environmental hazards, including radiation, toxic chemicals, possible explosions, and volatile gases. Talon robots can operate up to 1,000 meters away from a controller, and they can also detect sound, temperature, and air quality. The sturdy machines have previously been used for twice daily decontamination at Ground Zero. QinetiQ also sent smaller robots called Dragon Runners and kits to convert Bobcat loaders into unmanned vehicles. Dragon Runners are designed for use in small spaces. They are equipped with thermal cameras and work well for investigating rubble piles, trenches, culverts, and tunnels. Bobcat loaders are construction vehicles usually used for excavation. QinetiQ’s Robotic Appliqué Kits allow for remote application of all the Bobcat’s features — shovels, buckets, grapples, tree cutters, etc. The unmanned Bobcat loaders include seven cameras, night vision, thermal imagers, microphones, two-way radio systems and radiation sensors. They can be operated from more than a mile away. 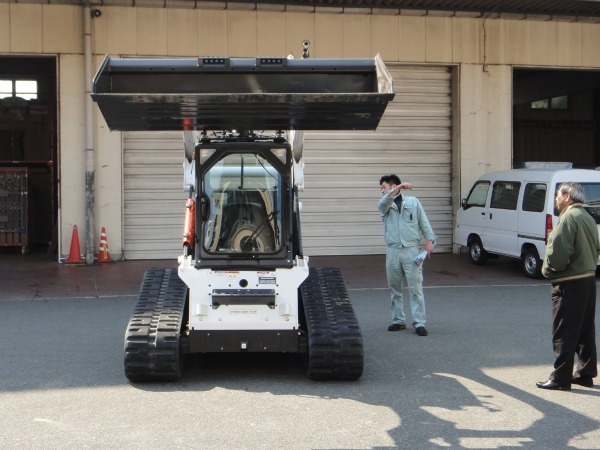 Experts from QinetiQ will train Japanese workers on using the robots. Yesterday, we reported that four reactors at the troubled Fukushima Nuclear Plant in Japan are being shutdown, but the crisis is far from over. The Japanese government has tried everything from flushing the reactors with seawater to dropping tons of water from helicopters. They've also enlisted outside help, some of which is coming in the form of video game controllers. QinetiQ North America, a Virginia-based technology company, has deployed robots controlled by Xbox 360 pads to assist relief efforts at the plant.